A reminder that the fitness center is not open Wednesday after school, but access is still available during periods 2, 3 & 4. 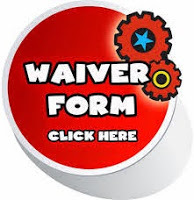 If you have not yet been in, come and grab a waiver form and get started today. Also, if you check the sidebar, we have added a link to an events page. This page is currently just getting started, but should give students access to out of school fitness events and opportunities. Currently we have some races put on by Runners Soul and by Lethbridge College. Thanks to Erin Pinder for providing us with this information. Next time you are in the market for a nice new set of shoes. Pop in to Runners Soul. There staff is amazing and very knowledgeable about which shoes would be the best for you. - This was formally a Tabata protocol program but I have switched it up to cover a wider range of intervals and energy systems. Tabata will still be mixed into the programming, but will not form the basis. These workouts are primarily all bodyweight based and designed to be done including warm up in 30 minutes. - What am I up to. Here is my current training program for now. I am coming out of an injury and a long lay off, so the programming will be light and not long in duration or requiring a ton of work capacity.